Karthikeya is an interesting mix of supernatural suspense and crime thriller with a soupçon of snakey vengeance thrown in for good measure. Chandoo Mondeti’s début has plenty of character development and a good storyline, although it does take a long time to get to the meat of the plot. 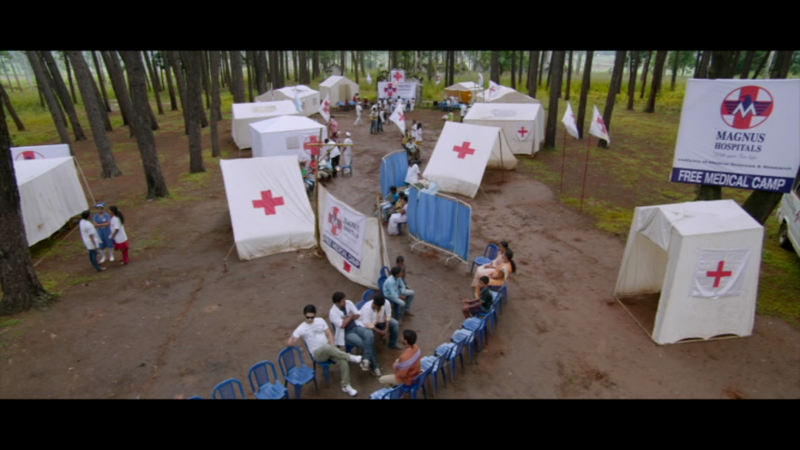 However it starts well and the second half has plenty going on making Karthikeya a better than average watch. 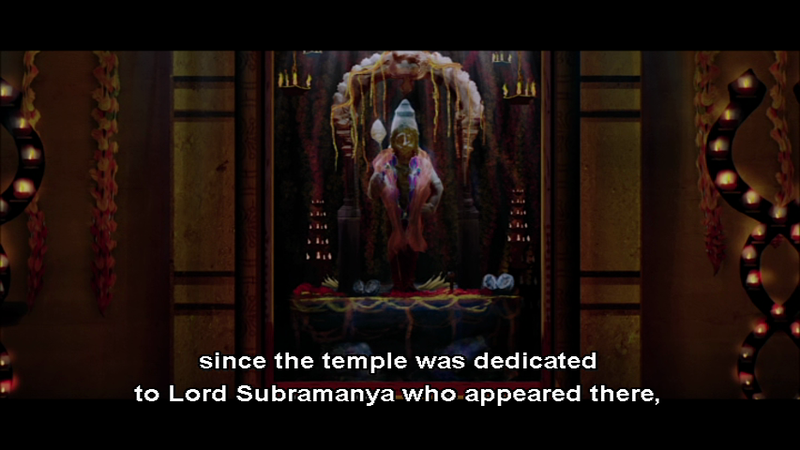 The film begins with the unexplained death of an endowment officer investigating the closure of a temple in Subramanyapuram, although his inquiry seems to be completely unofficial. 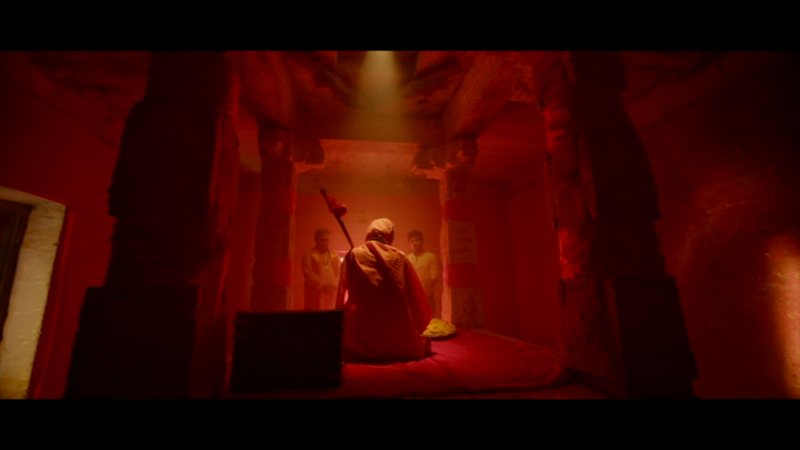 Shankar (Raja Ravindra) has time to make a final phone call before his death, but naturally hasn’t actually managed to finish his report detailing what’s behind the mystery of the temple before calling his friend. Doesn’t anyone in these films ever realize that boasting about their achievements before actually completing them is a surefire way to ensure they aren’t going to make it to the end of the movie? Especially when there are eavesdropping snakes to consider! 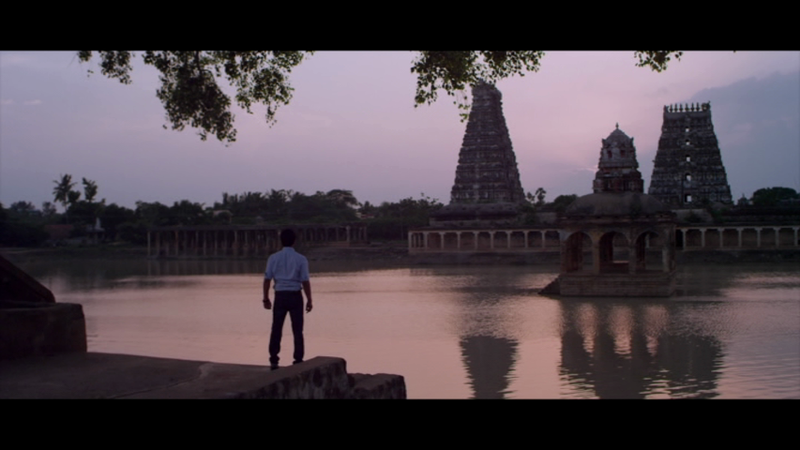 Having set the scene for a mystery thriller, the film then moves away from the story of the temple to introduce Karthik (Nikhil Siddharth) and his family. Karthik is a medical student who puts his faith in science and has no hesitation in spending the night in a haunted mortuary to prove that there is nothing supernatural going on. 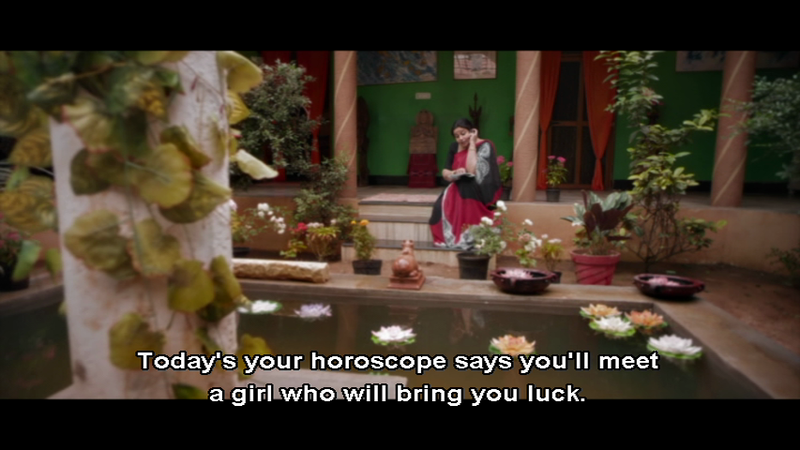 However when his superstitious mother (Tulasi) calls to report that his horoscope has him meeting a girl who will bring him luck, despite his skepticism Karthik keeps his eyes peeled and pays attention when he meets Valli (Swati Reddy) on campus. I like Karthik’s combination of respect for his mother’s beliefs with a scientific curiosity that drives him to find an answer to every question. He seems more normal and down to earth than most heroes and his tendency to reach for reason makes him a likeable and possibly a rather more intelligent character, despite his rather inane approach to romance. As in many Telugu films the romance isn’t well handled, and the heroine has little more to do than apply the usual romance formula. Swati does all of that perfectly well, but I was hoping for a little more given that her character is a dental student who should know better. Swati and Nikhil have a sweet camaraderie but no romantic sizzle and appear more like friends than lovers for most of the film. 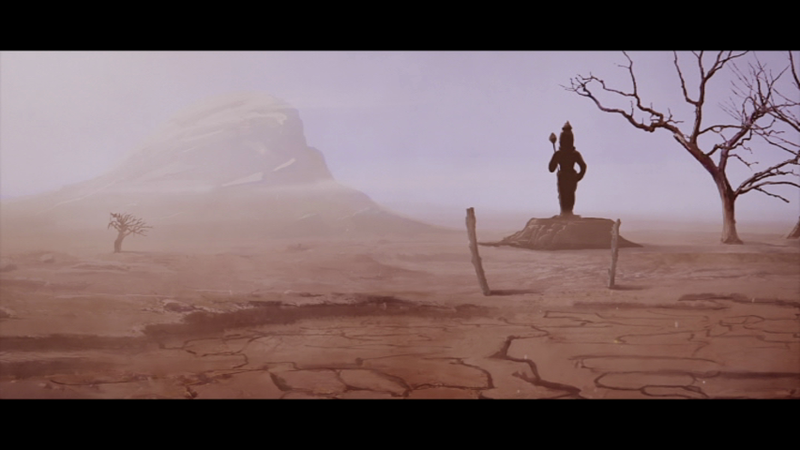 However, given that the focus of the story is the temple mystery this is perhaps for the best since the romance really adds little to the plot and is fairly irrelevant at the end of the day. The story behind the temple is explained using a series of beautiful drawings that detail the building of the temple and the subsequent miracle that occurred on the full moon night of Karthika month. However the mystery started the previous year when one of the temple trustees collapsed during the annual ceremony and a few days later two lovers were found dead in the temple with snake bites. Rumours then began about strange noises and the death of the chief priest was the final straw resulting in the closure of the temple. Kathik and his friends are sent to Subramanyapuram for a medical camp and end up staying in the temple trustee’s bungalow – a grand building in the forest with an imposing five headed snake sculpture on the top. The mystery is just the thing to keep Karthik entertained in between working at the medical camp and romancing Valli, despite his mother’s warning that he is in danger from snakes and the whole mystery involves a number of deaths from snake bite Valli is also on the camp since Subramanyapuram is her home village and her father (Tanikella Bharani) is a prominent village elder and astrologer who provides a good counter for Karthik’s scientific beliefs. There is some amount of suspense as shadowy snakes are seen around the bungalow but unfortunately Chandoo Mondeti never develops any real feeling of menace which would have helped increase tension as Karthik gets closer to the answer. Although the police officer ACP Shankar (Kishore) involved in the case is also killed, his death is over very quickly and isn’t used to increase the suspense either. However the plot itself is more realistic than usual and even the dodgy science has some basis in fact even if it’s not completely believable. Chandoo Mondeti also includes some social issues including female infanticide and the shonky practices of fake spiritual leaders, blending them well into the plot and avoiding too moralistic a stance. 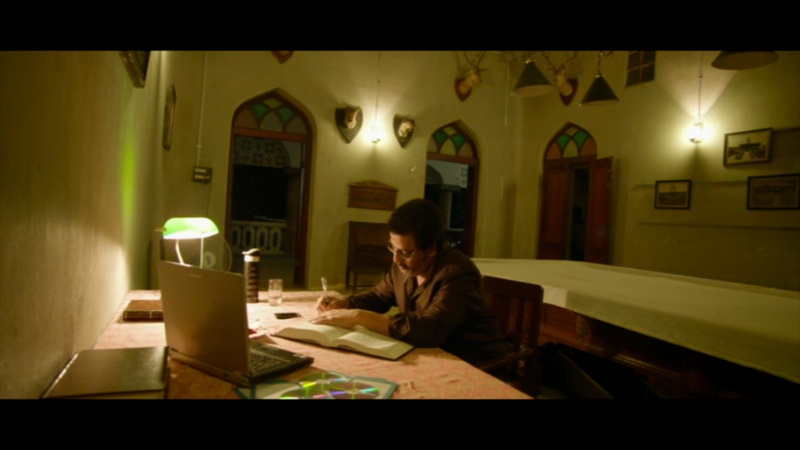 Nikhil is good as Karthik and balances his scientific beliefs with respect for the village traditions well. Satya and Praveen have small roles as his friends and provide most of the comedy which is less slapstick and more successful than usual. The rest of the support cast are also good, including Jogi Naidu as the temple handyman and Rao Ramesh as the Head of the Endowments office. There are no big song and dance numbers, with most of the songs used to show the developing romance between Karthik and Valli, however they fit well into the narrative and are generally enjoyable too. Overall Karthikeya is a good story that could have done with a little more suspense but still keeps enough tension in the plot to keep it interesting right to the end. A few more snakes and less romance would have helped, but I could say that of most films really, and the CGI works well here to make the snake moments work well. Definitely worth a watch for an interesting mix of supernatural and murder mystery along with some good performances and clever use of science. 4 stars. Golconda High School is a family friendly youth and sport oriented film that borrows heavily from others in the genre like The Mighty Ducks and Chak de India. A ragtag team is brought together by their misfit coach to win back an inter-school trophy and protect their school sports oval. It doesn’t sound like much, and it is quite a slight story, but I quite enjoy the way the characters develop and the good lead performances. A quick aside – My DVD subtitles refused to cooperate so I downloaded some subs. Whoever did them was undaunted by their caps lock being stuck on some letters and a mysterious appearance of the number 3 whenever apostrophes were required. But thank you, whoever you are. Sampath (Sumanth) is called back to his old school by headmaster Viswanath (Tanikella Bharani) to coach the cricket team. He had been cricket captain back in the day, but left the game under a cloud. Initially reluctant to commit, he is irritated into accepting the job by Kireet (Subbaraju), a board member with a keen interest in real estate, especially that large patch of land occupied by the sports ground. Kireet has an ally in Madhu (Shafi), the maths teacher and deputy principal. The boys are demotivated and unused to being pushed to excel so they provide a challenge and a reward for Sampath. Romance is supplied by English teacher Anjali played by Swathi. The story is predictable but the characters were not always exactly what I expected. Sumanth is likeable and blokey as Sampath. Sampath has Telugu Hero Syndrome and is never wrong about anything and is therefore not required to change his opinions or adapt in any way. But that characteristic is common to many successful sportspeople so it didn’t seem out of place. Sampath has a troubled history and he is a stickler for principles so he has a little bit of internal conflict but really, he is there to inspire the boys and to see them achieve his/their dream. 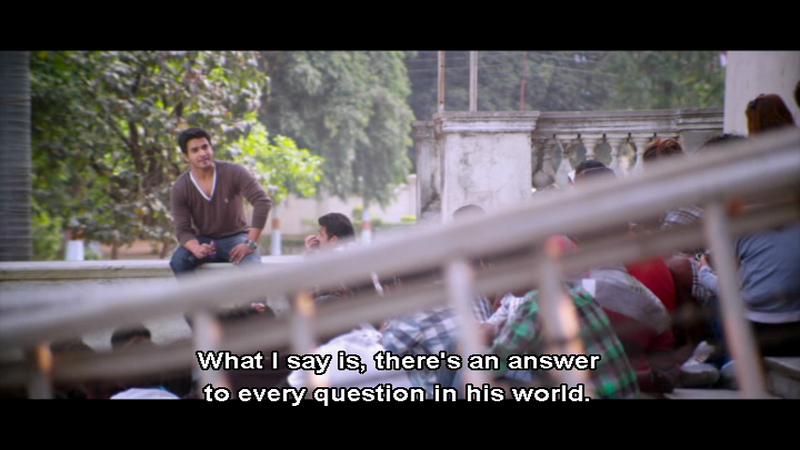 Sumanth has an easy quality to his dialogue delivery, seeming conversational most of the time. He does amp up the jaw clenching and drama when it is needed, but he is not a superhero – just a focussed and determined man (once he has to be). He and teacher Anjali (Swathi) have an understated flirtation. They’re both single and attractive and they don’t play too many games, admitting they like each other quite easily. Swathi’s role is small but has a bit of substance. Anjali is a modern young woman with a natural and outgoing personality. Anjali is popular with the staff and students and she sometimes cajoles people into patching up their differences or cheers them on. She befriends Sampath and commends his efforts to support and develop the team. She calls him over for dinner and they share a romantic ‘what if?’ duet. Their relationship a little awkward as they both feel uncertain at times, and they seem to genuinely like each other. Again, nothing fake or flashy about it, just nice and relatable. I like the way they phase in and out of reality, and the internal conversations they are practicing. No dancing and a bit cheesy, but you can’t have everything and this does suit their characters very well. The staff take on the boys in a friendly match and they all looked like they were having lots of fun. The interactions between the supporting teachers were funny in an everyday way, nothing overtly comedic but the humour of people who regularly wind each other up. There are lots of small interactions and dialogue exchanges that flesh out this school environment. When the final match is on, the parents and teachers have some good lines and little cutaway shots for reactions. The boys are a mixed bag, some more competent actors than others, but they make up a realistically varied team. I liked their intro sketches. But despite introducing them as simply the good kid, the fat kid, the scared kid, the angry one, the film does allow them to be a little more than just a stock type. Most of the boys face pressure from their family to excel in studies, and some are not supposed to waste valuable study time on anything else. With the exception of Siddhanth (Srinivas Sai) who is a hero-in-waiting, the boys grow up a little and assert their identities a bit more as they develop confidence. Initially resentful of their hard headed coach, they come to understand he is a decent bloke. Goutham (Santosh Sobhan) is the natural leader, the guy who gets in there and motivates his team mates when things get tough, a boy who will stand up for a friend and take responsibility for himself. Siddhanth gets all the glory for playing with an injury, but he only put himself out when it suited him. I was a little disappointed to see him given so much credit but not surprised. He and Sampath were very similar. 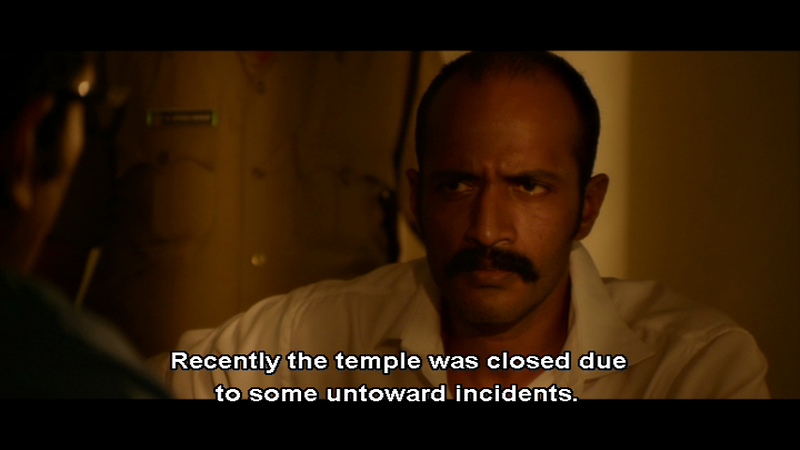 Ramesh’s (Vasudev Sastry) attempt at making a film was just one of the glimpses of the boys home lives. Varun (Sangeet Sobhan) is the fat kid but he also has a supportive family who are proud of him eventually for doing well in the game and getting a bit fitter. Ashish (Sai Kiran) has a demanding mother but she sees that the discipline of the game is good for her son and helps him focus so she drops her objections. It’s simplistic yet realistic as the parents start to see differences when their kids are happy and productive if not all budding rocket scientists. I’m pretty sure I’ve seen Santosh Sobhan and Farookh (who plays Mikey) as younger versions of heroes in other films. I like Subbaraju in character roles and he is well suited to playing the slightly intimidating Kireet. Well, except in a few scenes with Sumanth where he looks like he is about to crack up laughing. Given Subbaraju’s track record of being able to go from zero to full blown fury in a nanosecond, I kept wondering if Sumanth was pulling faces out of shot. Kireet represents the short term hunger for profit over long term society gains. He and Madhu dismiss anything other than getting students to rank as a waste of time and potential earnings. Watching them as they watched the pivotal match was highly entertaining. You could see Kireet’s motivation for Golconda high school to lose warring with his appreciation of the game. He and Madhu seem to be caught in the filmi bad guy equivalent of an unhappy marriage, stuck with each other until the bitter end. 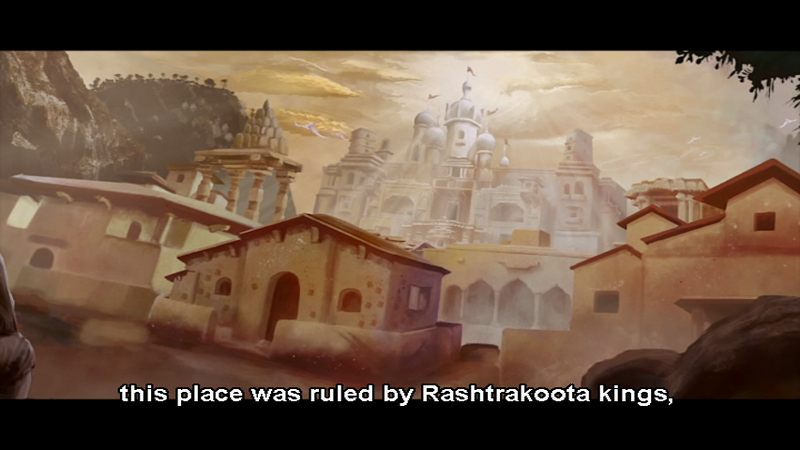 Mohan Krishna Indraganti’s films have been a bit hit and miss for me. I found Grahanam interesting if depressing, Ashta Chamma was successful in parts but I found a couple of the performances weak and annoying. I haven’t seen Mayabazar as I am allergic to Bhumika Chawla. Golconda High School is a film I didn’t expect to like anywhere near as much as I did. Nobody dances, nobody dies. But the characters are relatable, the performances are pretty well balanced and the messages strewn throughout are mostly ones I agree with. I also liked the photo montages over the opening and end credits that stayed true to the ideals of sportsmanship, team work and friendship. 3 stars!